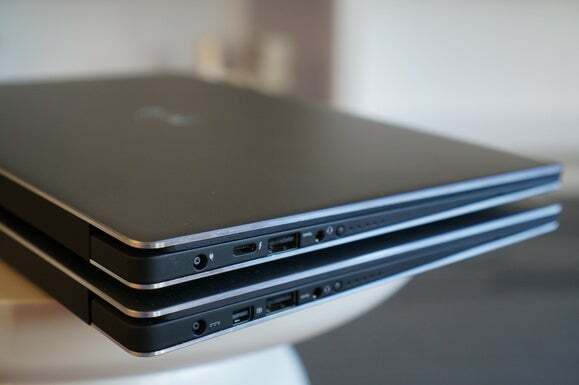 Its footprint clearly puts it in the same class as laptops with far smaller screens, such as the MacBook air 11 or Toshiba Radius 12. As their names imply, those use 11-inch or 12-inch screens. 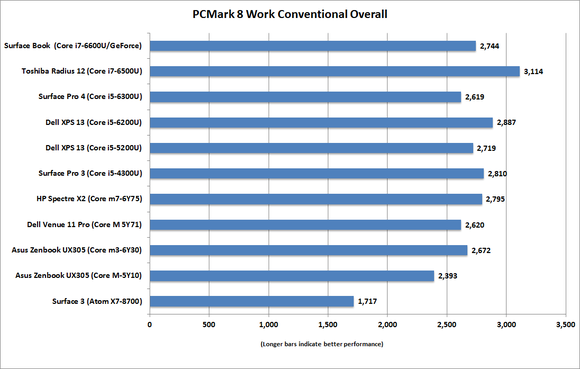 I’d almost put the XPS 13 on a par with Apple’s MacBook (Not Air) 12, but the MacBook 12 is an especially lightweight beast. The updated XPS 13’s footprint is still spectacular. 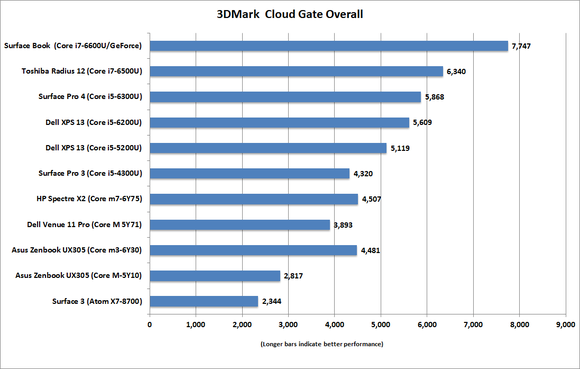 Here is last year’s virtually identical model on top of a MacBook Air 13. While the XPS 13's footprint isn’t that much bigger than the MacBook 12's, the updated XPS 13 is heavier and thicker, as this massive profile shot I lined up below illustrates. 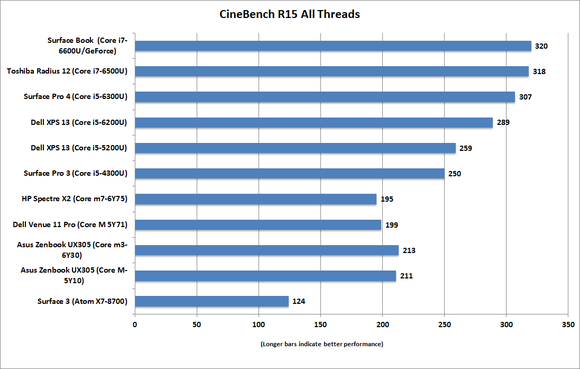 As much as some might want to put the MacBook 12 in the same class as the XPS 13, it’s not. Don’t be fooled by the visual curved surfaces the laptop makers use to make you think they’re thinner either. I measured the three contenders and found the Asus UX305 to be the thinnest, with Lenovo’s older Yoga 3 Pro slightly thicker. Truth be told, we’re talking millimeters of difference. 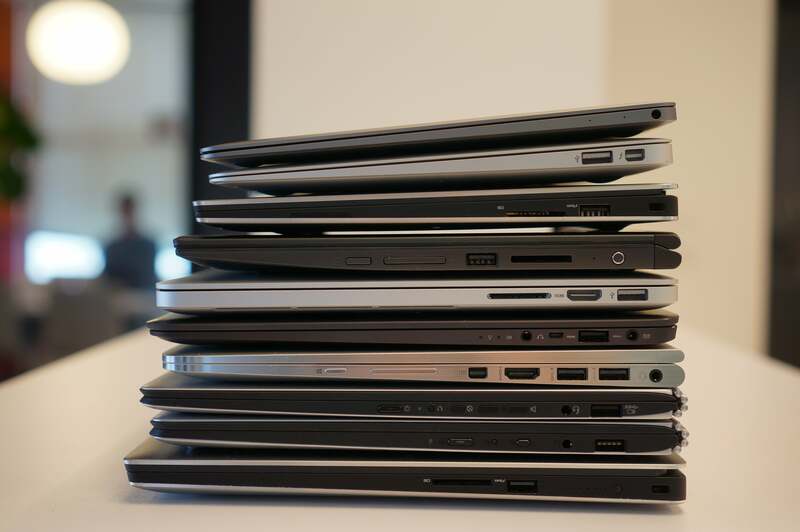 From top to bottom: Apple MacBook 12, Apple MacBook Air 11 (2014), Dell XPS 13 (2016), Toshiba Radius 12, Apple MacBook Pro (2015), Asus UX305 (2016), HP Spectre X360 (2015), Lenovo Yoga 3 Pro, Lenovo Yoga 900, Dell XPS 15 (2016). Externally, it’s virtually identical to last year’s model. The only tell is the displacement of the mini DisplayPort from last year’s model to a USB-C port. USB-C allows for reversible USB cables that support multiple standards. While I welcome reversible cables, I don’t welcome the confusion. While the USB-C or USB Type-C connector can support many standards, they're optional. That means not all USB-C cables support higher data rates. Or DisplayPort. Or Thunderbolt 3. It just depends. 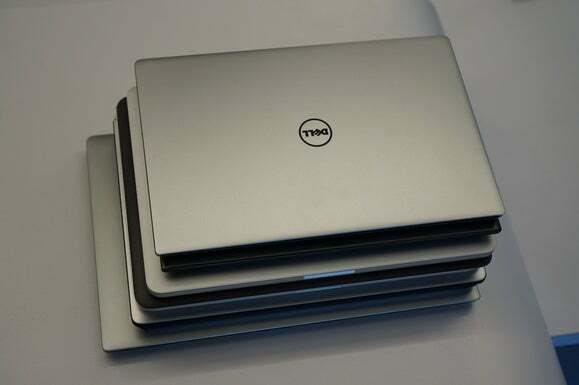 For most people considering the latest XPS 13, it’s what’s inside that counts. The mid-range version we tested is $1100 at Amazon and features Intel’s Core i5-6200U paired with 8GB of LPDDR3 and a 256GB PCIe M.2 NVME drive. For most Office tasks, you’d really be hard pressed to tell the difference between any of the devices here save the Surface 3 and its Atom processor. 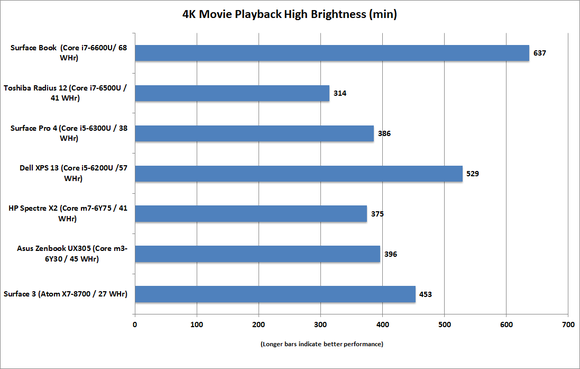 I initially tested the new XPS 13 with MobileMark 14 and hit 647 minutes of run time. That was unexpectedly lower than last year’s XPS 13 which, with its 1080p, non-touch panel hit 728 minutes of run time. 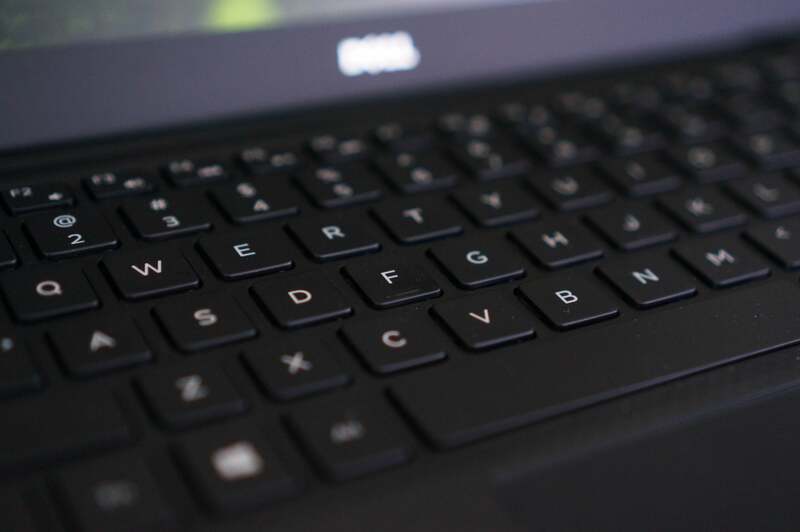 Working with Dell, we determined that an issue with the M.2 NVMe drive kept the laptop from entering lower sleep states. Once updated, Dell said we should expect several hours' more run time. To complicate matters even more, Dell did actually update the BIOS to address the M.2 drive sleep issue. But since I can’t run MobileMark 2014, I can’t tell whether it actually fixed the issue. Because the laptop doesn’t sleep when playing video, the results were unchanged. Battery life on the new XPS 13 is decent but not stellar. 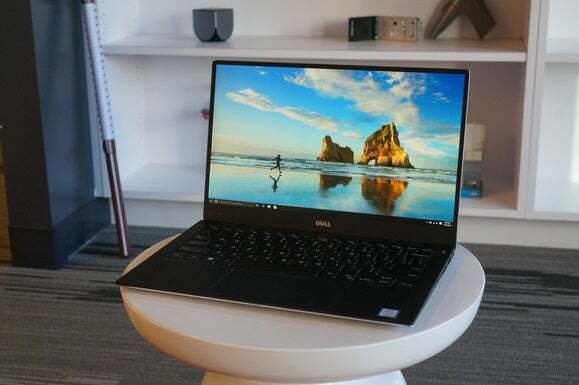 To get the XPS 13 as small as it can, Dell made two compromises. The first is the webcam that gets moved into the lower left corner of the screen. It makes for pretty unusual Skype chats. The second is the keyboard. It’s still just a little cramped with its tiny keys. If Apple can get a comfy keyboard on its MacBook Air 11, why can’t you Dell? Likewise, a much larger-framed HP Spectre X360 keyboard, or even the Surface Pro 3's, feels like loosening up your belt after a big dinner. A new 6th-gen CPU, a new NVMe SSD, and USB-C make an already outstanding ultrabook even better.